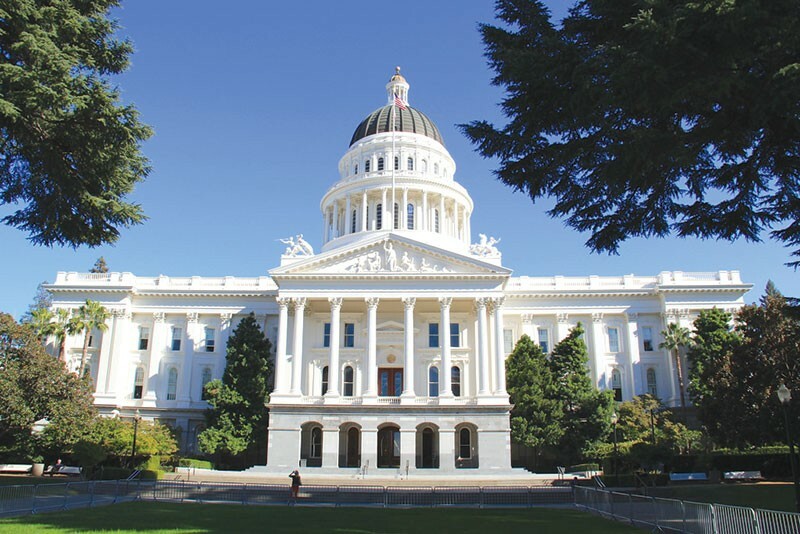 At the annual California Citizen Lobby Day on June 5, cannabis activists from Sonoma County gathered in Sacramento to speak to their elected officials. The representatives listened politely, though they made no promises. Earlier in the day, at the appropriately named Citizen Hotel on J Street, cannabis advocates, cannabis lawyers, cannabis doctors and cannabis users listened to speakers who talked about the complex and often contradictory world of marijuana in California. Dale Gieringer, the director of California NORML told the audience that "two-thirds of the municipalities in the Golden State have no legal pot dispensaries" and that "there's a crackdown on cannabis cultivation from one end of the state to the other." Of the 600 bills that came before the California State Legislature this session, 60 were about cannabis: cannabis delivery services, cannabis dispensaries, cannabis for pets, cannabis and employment, and the removal of felony cannabis convictions from criminal records in California. According to Gieringer, there are 100,000 felony convictions on the books for cannabis in California. Senate Bill 1793, which was introduced in January 2018 by Rob Bonta, would make the expungement process the responsibility of the state attorney general, not county district attorneys. Most of all, Gieringer explained, NORML wants civil rights for cannabis users, including no obligatory drug testing by employers, plus the opportunity to use cannabis to help end addictions to opioids. The Service Employees International Union thinks that workers ought to have the legal right to smoke marijuana on their own time, away from work, in much the same way that people enjoy a cocktail or a glass of wine. Matt Hummell, the chair of the Cannabis Regulatory Commission in Oakland, explained that the marijuana black market is thriving in Oakland because rents are so steep that many wanna-be dispensary owners can't afford to enter the legitimate cannabis business. "It's a struggle to get a permit," Hummell said. "At the same time, big money for the cannabis industry has flooded the city." One longtime Sonoma County cannabis cultivator called himself "disgruntled" and added that he wasn't going to apply for a permit. "I'm willing to take a chance," he said. "It's an act of civil disobedience."